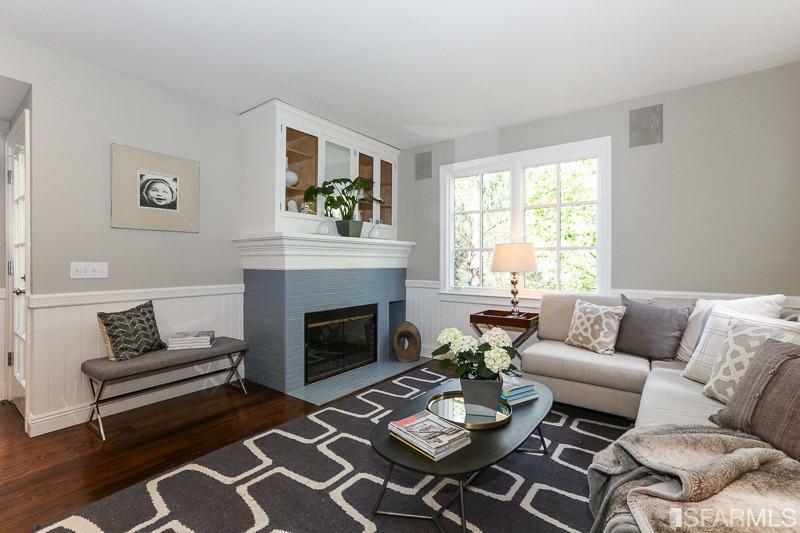 Captivating 3BD, 3BA, luxury view home with a timeless Victorian faade, tasteful modern updates, while maintaining period details, and located in the highly desirable and eclectic Castro/Eureka Valley! Within a short distance to cutting edge restaurants and cafes, this home boasts a tasteful entry way that opens to a formal living room w/romantic fireplace, large windows, soaring ceilings, and dining room, spacious bedroom with bath, and a gourmet kitchen adjacent to a sitting area with fireplace that overlooks the sun drenched garden. The upper level has a large master bedroom flooded with natural light, vaulted ceilings,bathroom with an updated double vanity, designer lighting and jetted-tub,and a walk out deck with spectacular SF views. Price Adjustment! 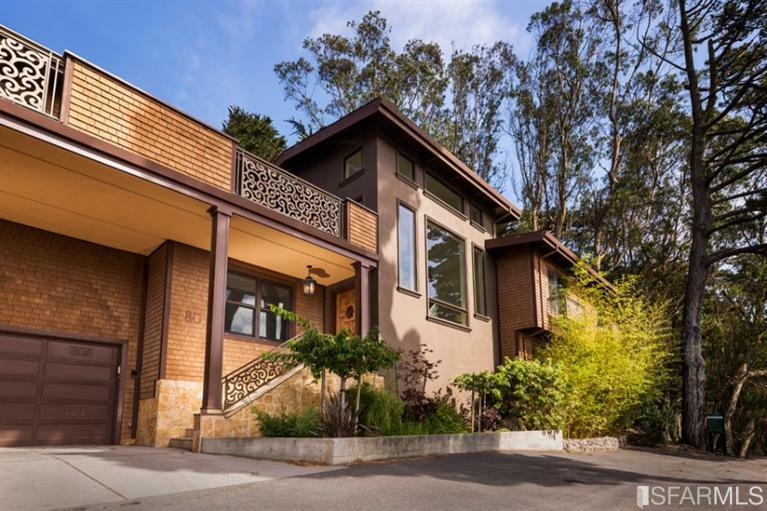 Spanning three levels, this stunning home offers breathtaking Golden Gate Bridge and Bay Views. 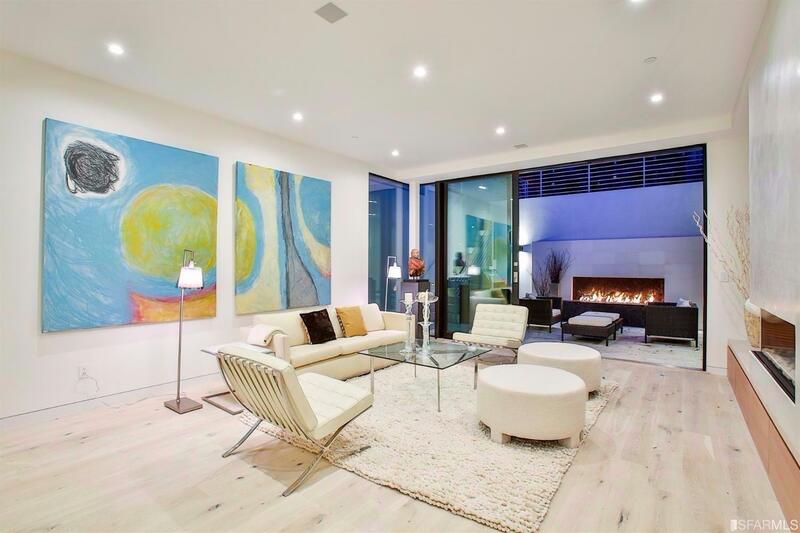 The floor plan is perfect for contemporary living. The custom kitchen opens to a casual seating/dining area, the living room with gas fireplace and vaulted ceilings, and a large dining room, all with bay views as the backdrop. Front view deck, back deck perfect for BBQ, a powder room and office nook complete this level. One level down is the bedroom level with master suite with it’s own view deck, along with three additional bedrooms, a remodeled full bath off the hallway, laundry, and access to the rear patio. On the lowest level you will find a family/media room and nterior access to the 2-car side by side garage + storage. The essence of elegant living! Remarkable lobby sets the stage w/ its gilded barrel vaulted ceiling & time-honored aesthetic for this house like, full floor 3 bd, 3.5 bth home w/ sweeping city+bay views. Sumptuous foyer opens up to a breathtaking formal LR complete w/ a fireplace & balcony. Glass enclosed solarium shows the city glistening below. Formal DR can easily fit a party of 12 & expansive Chef’s kitchen w/ dedicated butler’s pantry all make for fabulous entertaining. 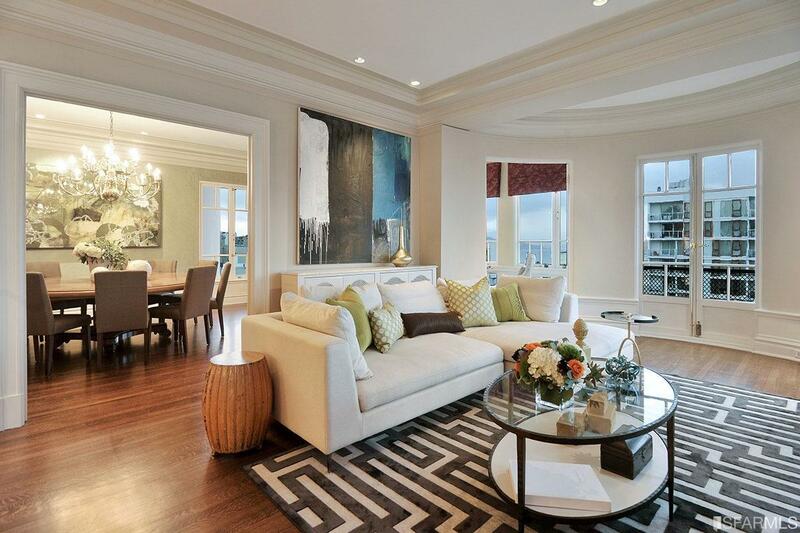 A sophisticated family room w/ custom built-ins & generous sized bedrooms to the right. This refined condo offers the grandeur of the old world w/o missing any modern amenities & will wow & woo with every turn. 1 car prkg, XTRA storage, close to shops & public transit. 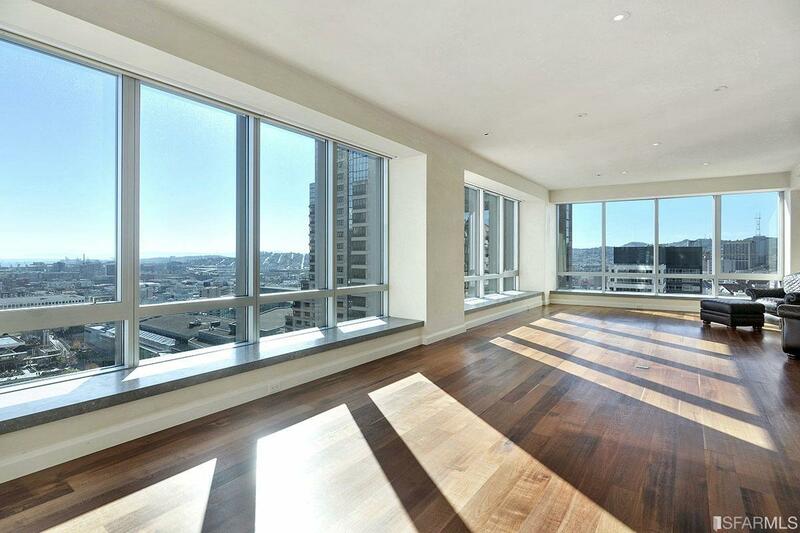 Understated Luxury with Skyline and Bay Views! The steel and glass entry door sets the tone for the finish level you will find throughout this fabulous home. Once into the entry hall, you will find a wall of quartz stone, soaring high ceilings and floating staircase, grounded by handcrafted steel railings. On this level, you will find a well-appointed master suite with gorgeous spa- inspired bathroom and ample closet space, as well as two other bedrooms and full bath. Upstairs, you will be greeted with floor to ceiling windows that open up to breathtaking views. The open span living, dining, kitchen and multi-tiered outdoor deck and patio areas are terrific for entertaining. Media room, wine cave, and two car side by side garage. 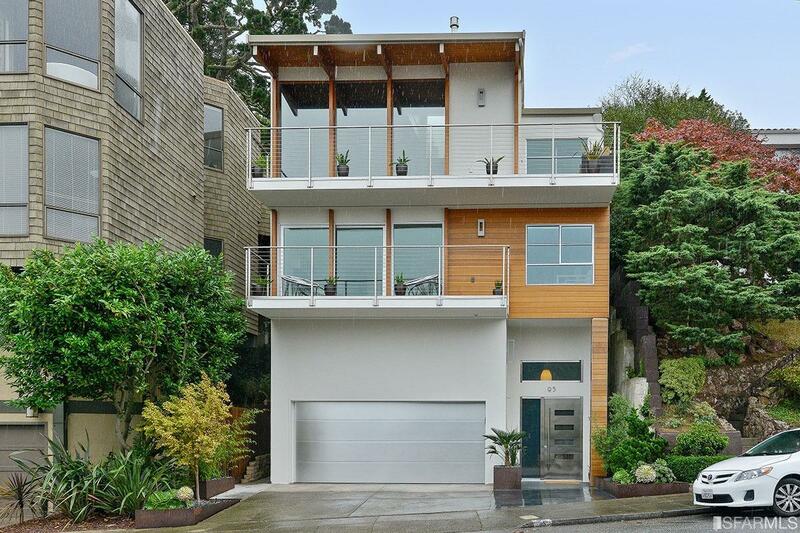 69 28th St is an Elegant Contemporary slice of Noe Valley Living. The recently remodeled home features an open floorplan enlightened by walls of glass overlooking the south facing deck and garden. The Stylish Miele equipped kitchen is the heart of the large open living area which includes a fireplace and a deck overlooking the garden. The 4 bedrooms ( 3 on 1 level ) including 2 Mastersuites that open to deck and garden spaces provide serene space away from the living level. The south garden features an outdoor kitchen/picnic area and a large Heavenly Grass lawn area. New systems include solar Smart Home Wifi and Sonos. Close to Noe’s best eateries + Public/Priv Trans + 280 South. Opportunity Knocks! 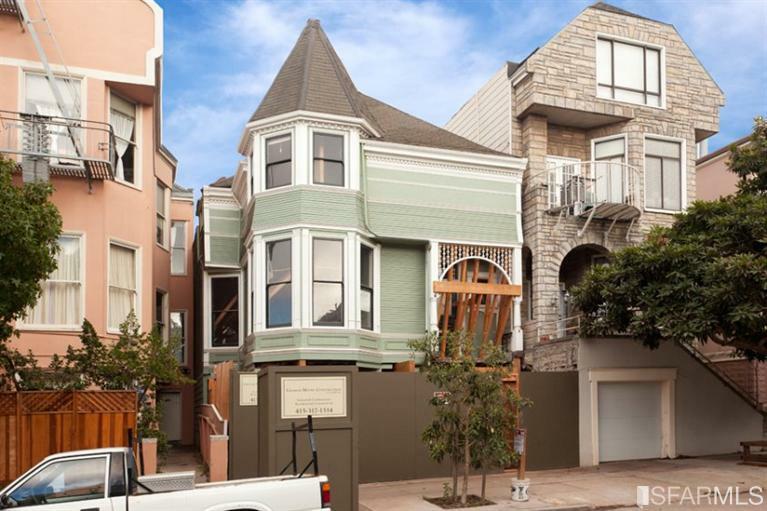 This is your chance to buy into a partially completed Victorian Masterpiece in highly desirable Cole Valley. Currently under construction the finished project will consist of 5 Bedrooms, 4 baths, 2 half baths, a media room and a 2 car garage. Total of 3 floors of living space equally 4316 Sq. Ft.! Excavation and new foundation have been completed. Framing of three levels is underway. Make the finished project your own with choices of appliances, fixtures & colors. The developer will complete the project or bring in your own contractor. 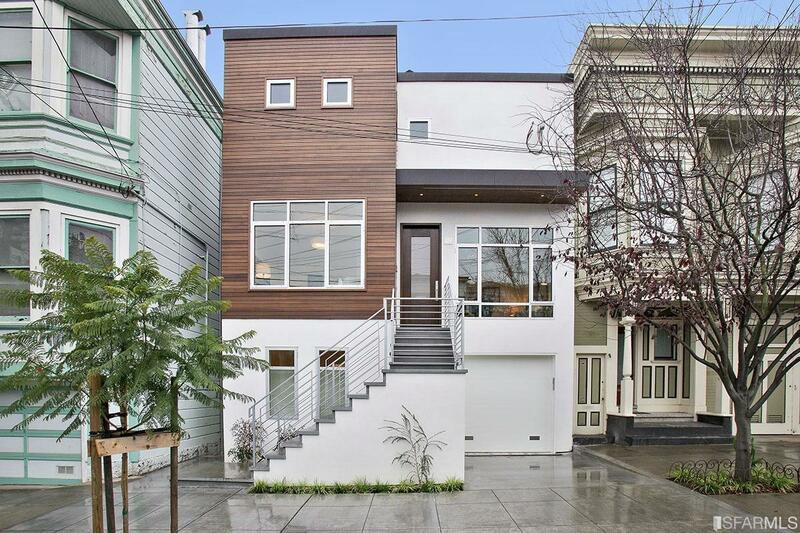 Located on a cul-de-sac at Castro St, this 4 bed, 3 full, 2 half bath house is the definition of modern luxury living and refined design. With 3 bedrooms on the top level and an Aupair suite on the entry level, its cohesive layout exhibits custom millwork throughout. The residence features a custom kitchen, library, dining area, and great room that opens to a stunning outdoor seating area and fireplace. 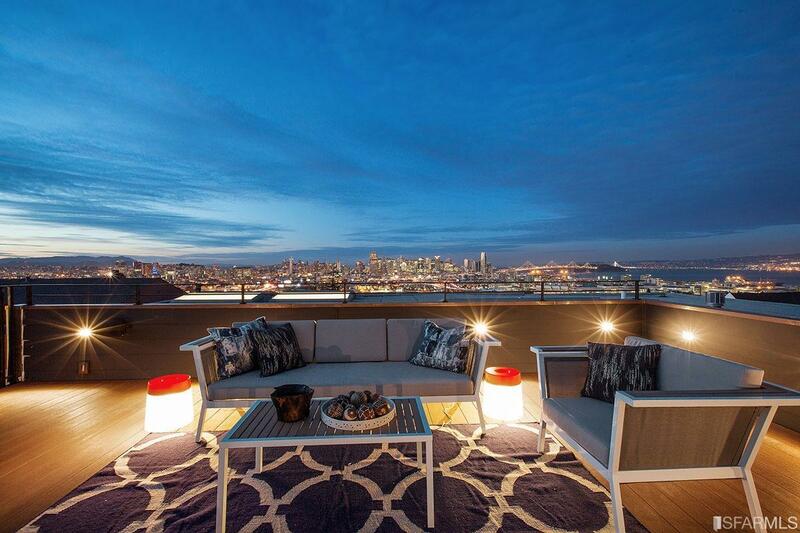 The home is completed with a Speakeasy wet bar, media room, 2 car side-by-side garage, an elevator, 3 fireplaces (2 indoor, 1 outdoor), 3 decks (front deck, master suite deck, roof deck), and picturesque views of Downtown, Twin Peaks, & Noe Valley. Short walk to 24th St.